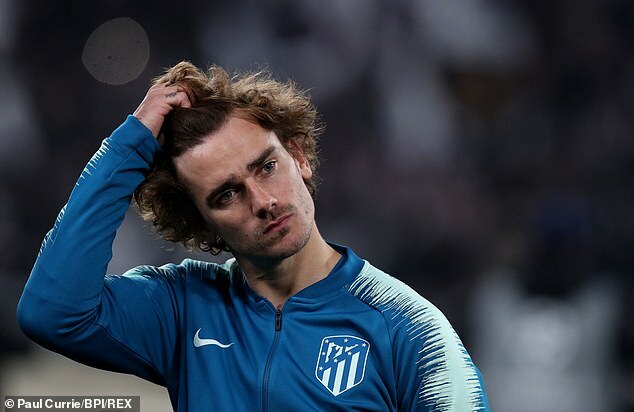 Antoine Griezmann has started to regret his decision to turn down Barcelona in the summer and is hoping he can secure a move to the Nou Camp come the end of the season. The French forward was strongly linked with the Catalan club but would go on to announce he was committing himself to Atletico Madrid in LeBron James-style TV special titled ‘La Decision’, signing a new deal until 2023. Los Rojiblancos failed to defend a 2-0 first leg lead when Juventus star Cristiano Ronaldo netted a hat-trick in Turin to dump them out of Europe on Tuesday. 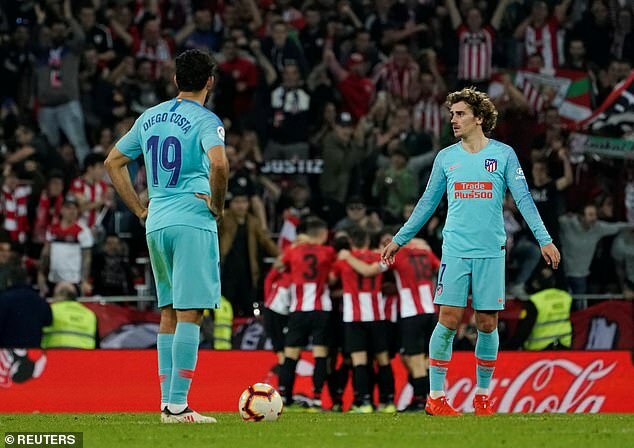 And their La Liga hopes took a huge blow on Saturday as they lost 2-0 to Athletic Bilbao, giving Barcelona the chance to go 10 points clear on Sunday. Griezmann has continued to perform at a high level this term, contributing 18 goals and eight assists in 39 appearances in all competitions. The World Cup winner has spent five seasons at the club and has won a Europa League, UEFA Super Cup and Spanish Super Cup during that time..